Square profile balustrade corner post, pre-drilled with pre-welded base plate. 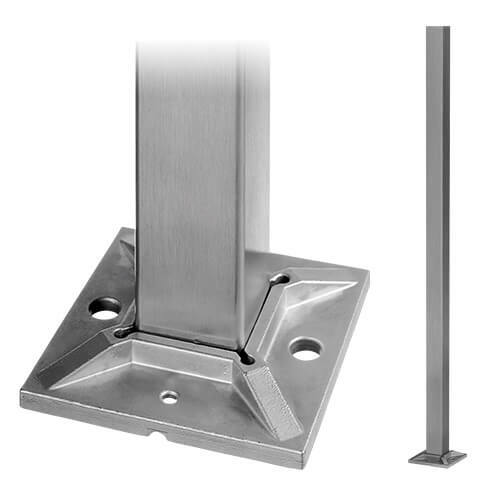 Strong stainless steel square line balustrade posts that are quick and easy to assemble. Choose from either 316 (exterior) or 304 (interior) grade stainless steel. All square balustrade tubes are 40mm x 40mm and have a wall thickness of 2mm. Pre-drilled with M6 fixing holes at 100mm centres to accept component balustrade parts. 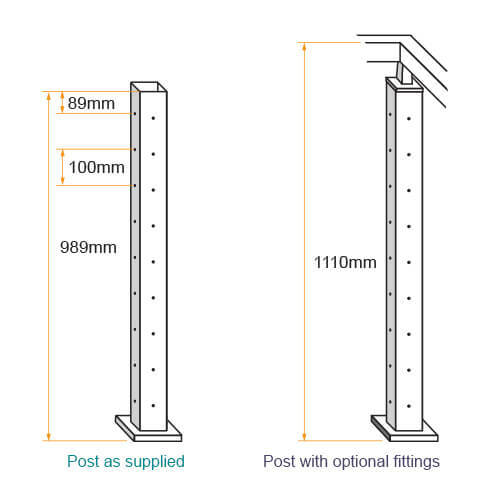 If you require differing heights, number of holes or spacing's - we can manufacture these posts to order for any bespoke project - please contact us on 01302 752 504 or email us. 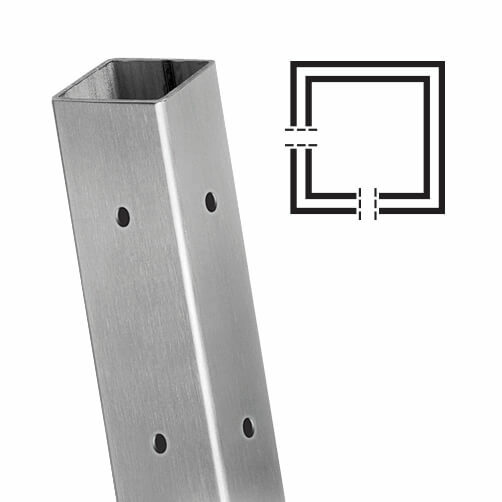 Square Post Base Cover Cap for the perfect finishing touch to your balustrade post. 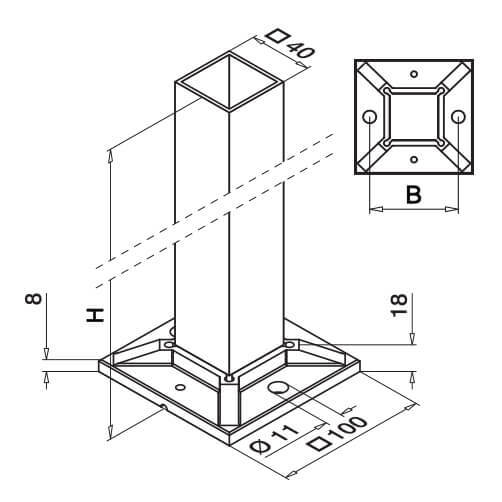 Square Tube End Cap, simply insert into the top of your post for a clean finish. Handrail Saddles designed to support flat and tubular handrail. Adjustable Handrail Saddles ideal for handrail on inclines such as stairways.